A scarf, also known as a Kremer, muffler or neck-wrap, is a piece of fabric worn around the neck, near the head or around the waist for warmth, cleanliness, fashion, or religious reasons. They can come in a variety of different colours. 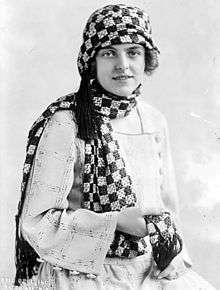 American politician Helen Gahagan Douglas wearing a neck scarf (1920s). The scarf became a real fashion accessory by the early 19th century for both men and women. By the middle of the 20th century, scarves became one of the most essential and versatile clothing accessories for both men and women. Celebrities have often led fashion trends with film props subsequently becoming mainstream fashion items. Celebrity endorsements have not only made scarves and shoes worn by film actors and actresses more accessible but provide the buying public with the opportunity of wearing celebrity-first accessories. The actress Kate Copeland wore a pair of red stilettos made by the haute couture fashion brand, Nadderzique, in the film Stiletto which led to the growth in independent boutique wear including scarfs by the well-known brand PYNQ. This upward trend in growth of independent boutiques offers individuality despite customers wishing to follow celebrity trends because items for sale often remain as one-off and individual or bespoke pieces. An Epitrachil stole used by bishops of the Orthodox Church and Eastern Catholic Churches as the symbol of their priesthood. In cold climates, a thick knitted scarf, often made of wool, is tied around the neck to keep warm. This is usually accompanied by a warm hat and heavy coat. Religions such as Judaism under Halakhah (Jewish Law) promote modest dress code among women. Many married Orthodox Jewish women wear a tichel to cover their hair. The Tallit is commonly worn by Jewish men especially for prayers, which they wrap around their head to recite the blessing of the Tallit. Young Sikh boys, and sometimes girls, often wear a bandanna to cover their hair, before moving on to the turban. Older Sikhs may wear them as an under-turban. A Somali woman wearing a traditional headscarf. Islam promotes modest dress among women. Many Muslim women wear a headscarf, often known as a hijab and in Quranic Arabic as the khimar. The Keffiyeh is commonly used by Muslim men, as for example Yasser Arafat who adopted a black and white fishnet-patterned keffiyeh as a hallmark. 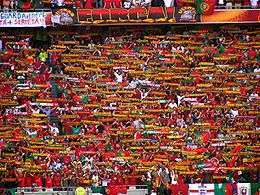 Additionally, several Christian denominations include a scarf known as a Stole as part of their liturgical vestments. Silk scarfs were used by pilots of early aircraft in order to keep oily smoke from the exhaust out of their mouths while flying. Silk Scarfs were worn by pilots of closed cockpit aircraft to prevent neck chafing; especially fighter pilots, who were constantly turning their heads from side to side watching for enemy aircraft. Today, military flight crews wear scarfs imprinted with unit insignia and emblems not for functional reasons but instead for esprit-de-corps and heritage. An absurdly long scarf that is striped is heavily associated with the Fourth Doctor from the television series Doctor Who. His iconic scarf is sometimes known as a "Whovian scarf." Four Scout scarves. They are (clockwise from top) the 21st World Scout Jamboree scarf, a Gang Show scarf from Cumberland Gang Show, the troop and group scarf from 1st Cherrybrook Scout Group, and the national scarf for Australia. 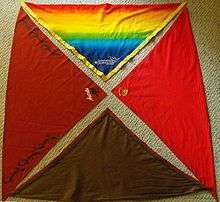 Members of the Scouting Movement wear scarfs as part of their uniform, with different colours, such as red and green, and logos to represent their scout group. They are also used at camps to represent units, subcamps or the camp as a whole. Fun scarves are also used as memorabilia at Scout events and country scarves are often traded at international gatherings. In some Socialist countries Young pioneers wore a red scarf. Also known as Branch scarf, it is most commonly used by the US Army and other American military units, but is also used by other countries like Denmark. It is worn in the colours of the regiment in service uniforms, but was also used in combat uniforms, such as the American Cavalry. 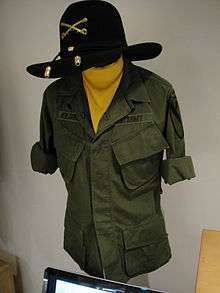 Robert Duvall's "Lt Col Kilgore" tropical combat coat and signature yellow branch scarf from "Apocalypse Now"
The 1890s were exciting, prosperous and ground-breaking times in the history of women's fashion. Women were increasingly involved in the world of business, finance and the stock market. Income earning working women were able to enjoy more time for leisure and sport and this spawned a booming entertainment industry. Sporting activities traditionally the domain of men, such as tennis, bicycling and golf lead to dramatic wardrobe changes. Hats replaced large ungainly bonnets, and scarves became fashionable, often worn over a hat. This was often a look sported by women while engaged in outdoor activities. A scarf ring was one way to secure the scarf in place. Today, Scarf Rings of silver, gold, mother of pearl, horn and many other materials are used by women all over the world to personalise their scarves, to fix or adorn the scarf. Scarf Rings serve both a decorative and practical function. 1 2 Smith, Patrick. "History of the scarf". Archived from the original on December 27, 2011. Retrieved April 19, 2011. ↑ Thompson S B N; Hussein Y & Jones N (2011). "Designing for the famous – psychology of building a brand in haute couture shoe design and fashion". Design Principles & Practices: An International Journal. 5 (5): 1–25.